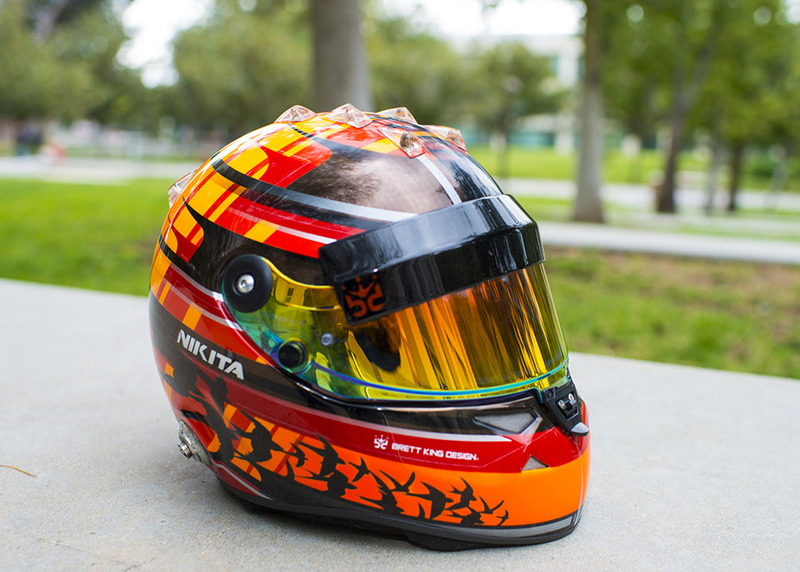 Nikita Lastochkin's goal is to race in the Indy 500, the top IndyCar contest in the nation. Photo by David J. Hawkins. Lastochkin's helmet is customized. The swallows stand for the Russian meaning of his last name. Photo by David J. Hawkins. 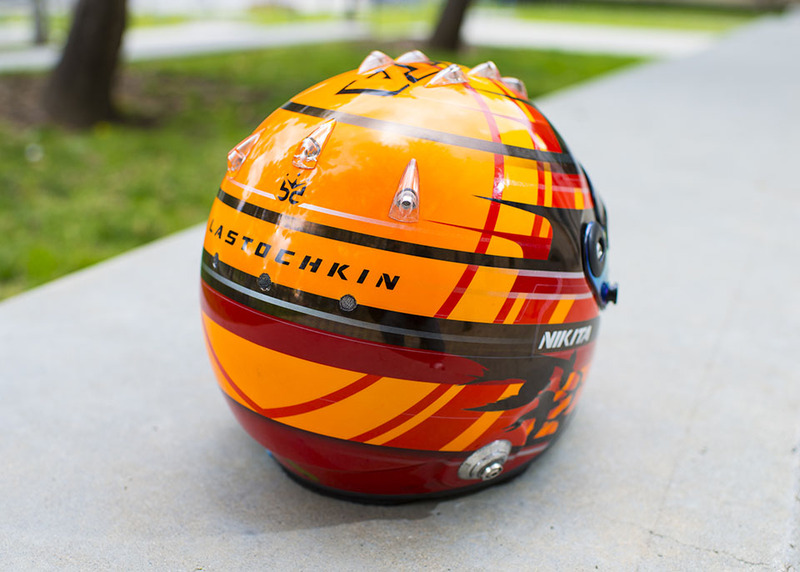 The helmet showcases Lastochkin's name and is painted in colors he likes. Photo by David J. Hawkins. Lastochkin holds a bachelor's degree in business from CSUN. Photo by David J. Hawkins. Most people who turn their hobbies into a profession start early. Not so for Nikita Lastochkin ’13 (Management). Just five years after Lastochkin enrolled in a racing school on a whim, he has become a professional race car driver in the Pro Mazda Championship, the second official step on the Mazda Road to Indy — preparing race car drivers for the famous Indianapolis 500, held annually at Indianapolis Motor Speedway. If Lastochkin wins the championship, he will move up to the next level — the Indy Lights racing series — and, if he keeps winning in the series, he will eventually compete in the Indy 500. IndyCar is an open-wheel car racing series in the United States. For the 2018 season, Lastochkin is a member of the Cape Motorsports team, and he is racing in the Pro Mazda Championship series for the second straight year. Lastochkin always had a passion for speed, he said. Growing up in Moscow, Russia, he drove snowmobiles and all-terrain vehicles. At age 16, Lastochkin traveled to the U.S. — alone — to attend a language school in Redondo Beach. He decided to stay, earned a business administration associate degree and transferred to California State University, Northridge in 2011. After graduation, Lastochkin decided to try out racing and signed up for the Skip Barber Racing and Driving School at Laguna Seca, near Monterey. He earned a racing license, participated in the racing school’s entry-level racing series and discovered a passion for race cars. Lastochkin notched six wins in the 2013 Skip Barber Winter Racing Series and made it on the podium 14 times. “Two times, I came second to other kids who had been racing for a long time,” he said. In 2014, he continued his career with the F1600 Championship Series, winning the Pacific Formula 1600 Championship and coming in fifth in the Pro Formula 1600 Championship. Lastochkin also achieved lap records — speed records for a specific kind of car on a specific track — at Buttonwillow Raceway in California, Pacific Raceways near Seattle and Watkins Glen International in New York. 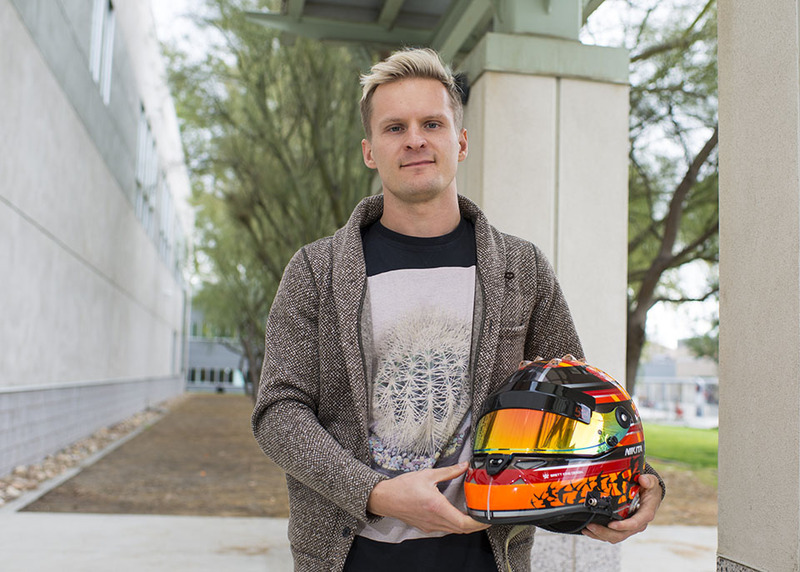 Motivated by his success, Lastochkin has a new goal: racing in the Indy 500, the top IndyCar contest in the nation. Lastochkin invests a lot of hard work and time into his dream. “Race car driving [means] never-ending improvement — you’re always trying to do better,” he said. Training time in race cars is limited, so Lastochkin prepares for races in a car simulator. A proper technique would be essential for successful racing, Lastochkin said. 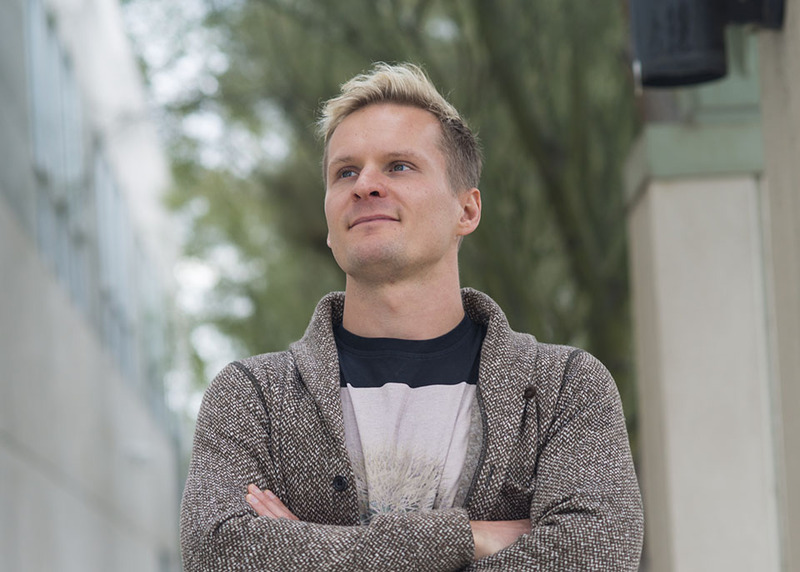 His education at CSUN helped him become focused on his goals, Lastochkin said. Lastochkin advised current CSUN students to focus on their goals, too.